MultiCage Training Arena is designed to optimize the work flow (increase through-put) while working with mice in the Mobile HomeCage or Mobile HomeCage Large. It provides a single platform for simultaneous training of three mice. Mobile HomeCage Large users can add the same functionality with the MultiCage Training Upgrade kit. Mobile HomeCage® devices are extremely efficient at reducing stress experienced by mice under standard head-restraint conditions. Nevertheless, proper animal training is prerequisite for success while using the Mobile HomeCage® products. Training does not require using anesthetics or depriving mice of water, and it only takes four days (twice daily sessions). Still, using the same device for testing and for training slows down the experimental process. MultiCage training arena was designed to address this problem. We started out with the Mobile HomeCage Large and added a second bridge with two head-fixations thus converting the Mobile HomeCage Large into an arena for simultaneous training of three mice (in small cages). Not convinced that you need two devices? Start out with a MultiCage, add an ultra lightweight carbon cage and use the same device in a double capacity (as s Mobile HomeCage Large and as a training arena). Training throughput would still be higher (due to training three mice simultaneously). Large selection of headplates engineered to accommodate different research needs. 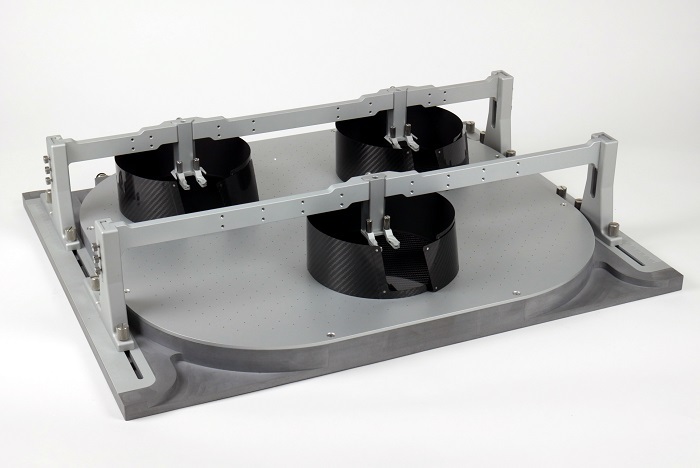 Ultra lightweight large carbon cages (325 X 70, 325 X 40, 290 X 70, 290 X 40 mm) are designed to have approximately the same weight as 180 X 70 mm carbon cages. This is achieved by using composite materials for the cage bottom. Tilted clamp (10, 20, 30, 35 degree tilt in the nodding direction) is designed to achieve a more natural head position. If you have questions about the MultiCage training arena, please contact us at mhc-support@neurotar.com.